A Saloniki Greek restaurant just opened a location in Harvard Square, inside the newly renovated Smith Campus Center. Casual Greek restaurant chain Saloniki, co-founded by award-winning chef Jody Adams, opened its doors last Wednesday in the recently renovated Smith Campus Center. Students were among the many visitors clamoring for free sandwiches with the app order. “The restaurant has absolutely delicious food and managed to feel authentic,” Heather E. Brown ’19, who was at Saloniki for the opening event, wrote in an email. “I give it an A!” Brown added. Saloniki is among several eateries that have recently moved into the Smith Campus Center since its re-opening in early September, including Blackbird Doughnuts, Pavement Coffeehouse, Bon Me, and Swissbäkers. Several parts of the center, including the lobby, underwent a two-year renovation to install new collaborative study areas, outdoor spaces, and student meeting rooms. 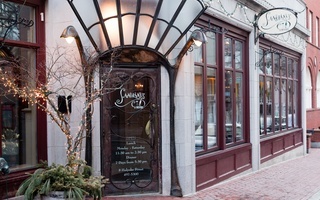 Saloniki’s co-owners include Adams, Jonathan Mendez, and Eric Papachristos. Adams is no stranger to local foodies: the chef had opened Rialto, a longtime Harvard Square restaurant that closed in 2016. Her other ventures include the Boston restaurants TRADE and Porto, which she co-owns with fellow Saloniki owner Eric Papachristos. 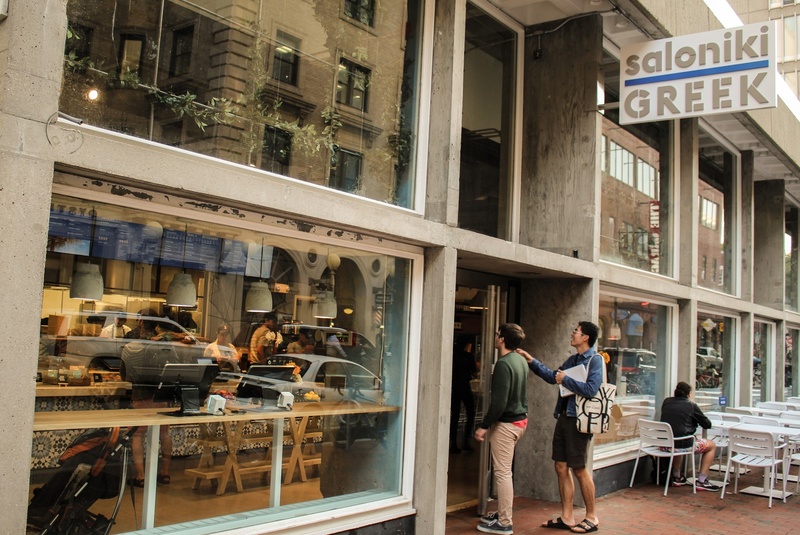 Saloniki’s Harvard Square location is the brand’s third and latest installation. The chain also cooks up Greek flavors in Fenway and Central Square. Unlike the restaurant's other two locations, however, the Smith Center Saloniki is a sit-down venue. “Our other two locations are more assembly line style, similar to a Sweetgreen or a Chipotle,” Cohen said. 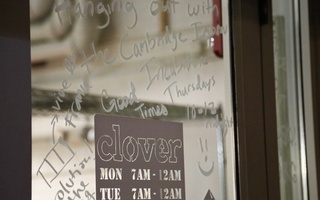 Customers eating at the Harvard Square store can take their food to-go or opt to eat there, Cohen added. 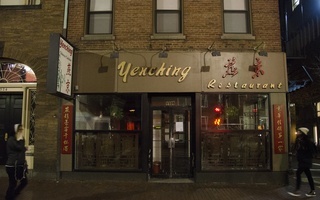 According to Cohen, restaurant aims to become a go-to venue for Harvard students, faculty, and staff. Over the past week, it has already “seen a steady stream of students and faculty,” she said. To draw in students, Saloniki currently offers free french fries for customers with a college ID who order meals over five dollars. —Staff writer Isabel M. Kendall can be reached at isabel.kendall@thecrimson.com. Follow her on Twitter @IsabelMKendall.